First into the tank is Jesse Wolfe of O’Dang Hummus seeking $50,000 for 10 percent of his company. 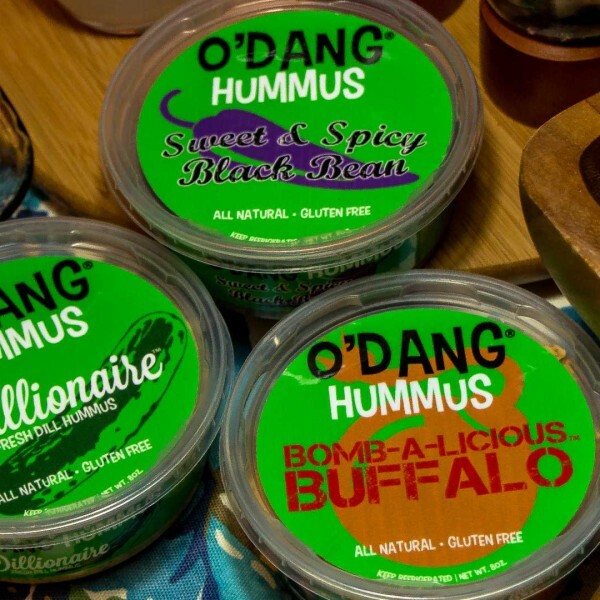 Putting a new twist on the classic taste of hummus, flavors range in dill pickle, black bean and more. It is generally 30 calories per serving, making it healthier than most others. Wolfe has also been adding an extension onto his business–a salad dressing that are “shelf stable” and oil free. They have sold $70,000 worth of product. Lori Greiner and Kevin O’Leary begin questioning how much he is selling and where he is selling them. He has put about $40,000 into the company, but Barbara Corcoran worries that he won’t be able to get them into stores, thinks he’s naive and doesn’t trust him, so she goes out. Robert Herjavec takes the first bite and offers $50,000 for 15 percent, but O’Leary quickly swoops in and offers $50,000 for 20 percent. Greiner would be willing to work with Herjavec, but for 20 percent equity. Final deal: Robert Herjavec and Lori Greiner for $50,000 for 20 percent.